We’re thrilled to announce our 12-day summer festival celebrating American musical creativity: Tuning Up! With a tremendous breadth of music over nine concerts, Music Director Ludovic Morlot and the Seattle Symphony will explore everything from avant-garde to minimalism, jazz to Broadway, classics to Hollywood. Highlights of the festival include a celebration of the cult electronic instrument — the theremin, reflections on 9/11 and a continuation of the Orchestra’s relationship with composer John Luther Adams. The nine-concert Festival takes its name from Edgard Varèse’s Tuning Up, which opens the Festival on Friday, June 17. The opening concert also includes music by John Adams, George Gershwin and Charles Ives. On Monday, June 20, theremin virtuoso Lydia Kavina performs an all-theremin chamber concert, Spellbound, with musicians from the Seattle Symphony. Kavina began studying the theremin at the age of nine under direction of Léon Theremin, the creator of the instrument. Guest violinist Philippe Quint will perform two concerts, beginning with Stage & Screen on Thursday, June 23. Quint will perform Corigliano’s Chaconne from the Red Violin and other selections with the orchestra, including the theme from Schindler’s List by John Williams. The next night Quint presents Bernstein & Beyond, a program of chamber music exploring 100 years of American chamber works. From Bates to Weinberg, and Bernstein in between, the conversation traverses the past 100 years of chamber music all the way through a new generation of composers adding their voices. The Seattle Symphony will travel to Marymoor Park on Sunday, June 26, for a celebration of Gershwin with pianist Jean-Yves Thibaudet who will perform Rhapsody in Blue. We’re joined at Benaroya Hall by pianist Alexander Melnikov on Wednesday, June 29, for an epic performance of Morton Feldman’s hypnotic Triadic Memories. Perhaps the heart of the entire festival, The Light that Fills the World on Thursday, June 30, is an immersive meditation in light of sound. Featured pieces include Julia Wolfe’s My Beautiful Scream, a meditation on 9/11, The Light that Fills the World by John Luther Adams and The Light by Philip Glass. Continuing our relationship with composer John Luther Adams, In the White Silence will be presented on Friday, July 1, as part of the innovative late-night [untitled] series. The Festival concludes on Saturday, July 2, with a concert showcasing music from Hollywood including selections from Vertigo, Youth and Selma. Support from the Judith Fong Music Director’s Fund will enable concert tickets to be offered for $25 each, furthering the Orchestra’s commitment to make music accessible to all. 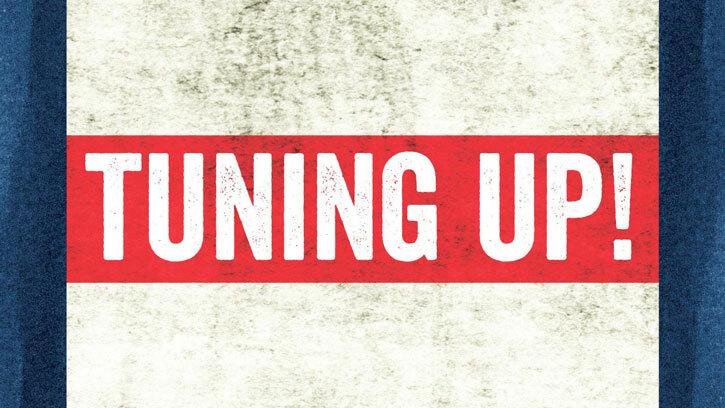 Join us for Tuning Up! — nine concerts over two weeks as we celebrate a century of American musical creativity.